Jaded Blossom: Hope you day is super cool! Jamie here and I have a treat to share with you using the Spotlight Set Lunch Notes 2! 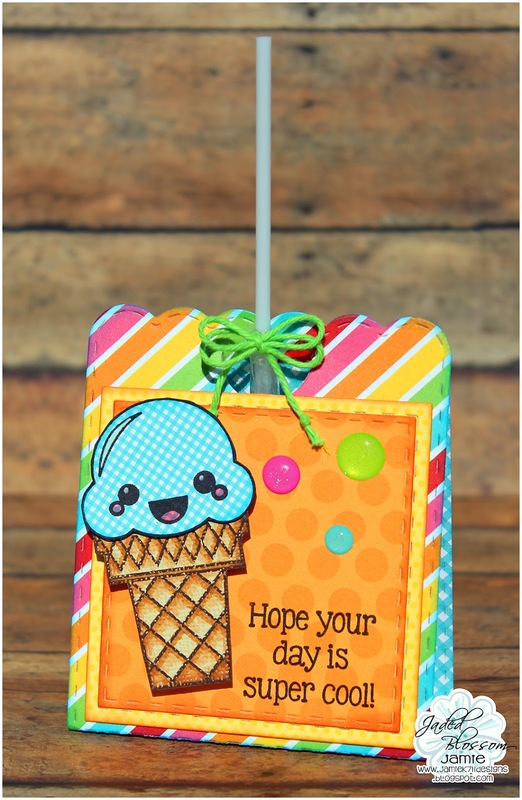 I used the Lollipop Die with the Card Mat Dies and Stitched Square Dies to create this treat! Then I stamped the Ice Cream Cone and pop dotted it to the front, along with a sentiment.